Prominent contemporary, Toronto-based menswear store, Uncle Otis has announced a second collaboration with extreme weather outerwear, Canada Goose. Uncle Otis will offer an exclusive 150 units of the Otis Parka, a bespoke quilted charcoal jacket, designed in partnership with fellow Canadian brand, Canada Goose. The Otis Parka retails for $1,150 and is specifically designed for the style-conscious male. At the beginning of September 30th, the Otis Parka will be available exclusively at Uncle Otis (26 Bellair St.) in Toronto as well as online at UncleOtis.com. “Uncle Otis is proud to partner once again with Canada Goose for the launch of the Otis Parka,” said Donnell Enns, owner, Uncle Otis. “A co-creation by Canada Goose and Uncle Otis, with particular involvement by our manager Martin James, the Otis Parka intertwines a contemporary feel with Canada Goose’s timeless quality. This time around has been especially exciting as we were given the opportunity to design the jacket from the start; allowing us to incorporate new, exciting aesthetics to the Canada Goose silhouette”. 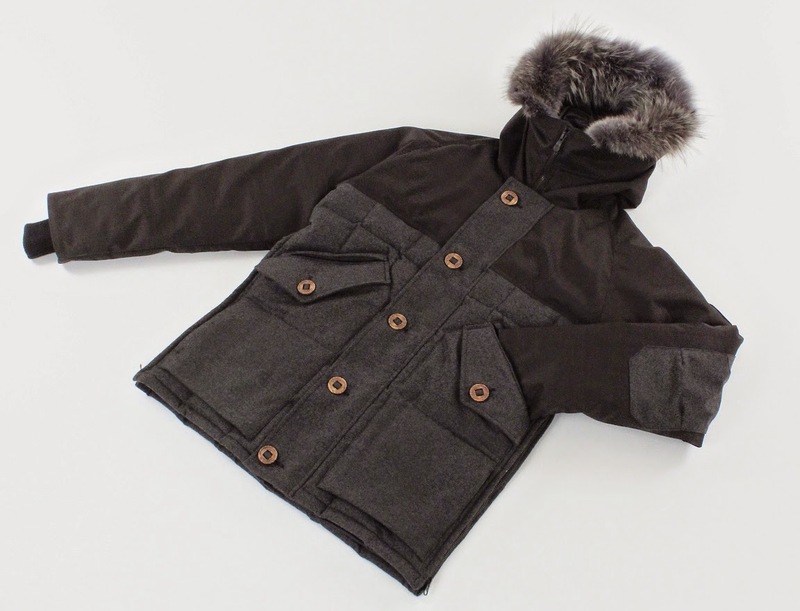 The highly customized jacket details include: a luxurious Loro Piana Storm System® wool exterior, a removable charcoal dyed coyote fur hood and a tonal, stealth-like Canada Goose leather patch on the right shoulder. Additionally, the Otis Parka boasts many key design elements including: quilting detail, custom-designed wood buttons, custom-designed three-way front pockets, subdued matte black zippers, as well as an exclusive Uncle Otis label.